Hi, My Name is Robbie Cornelius. Here's a little Short Podcast I Made About the Law of Attraction. 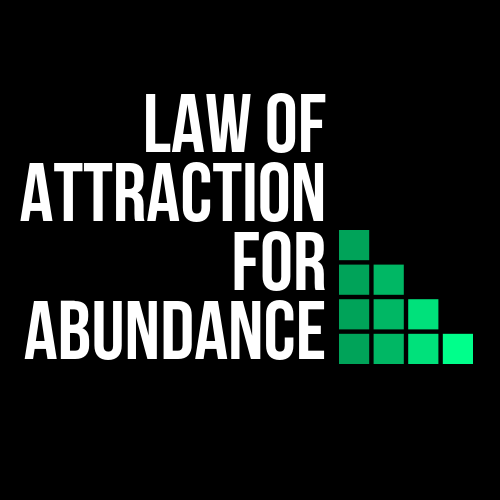 Do You Want to Use the Law of Attraction for Abundance? You’ve heard of the term, mind over matter. The body is like a chemistry lab... And you are the scientist and the experiment. When you experiment with thoughts, those thoughts produce chemicals that literally change the physiology of the body. Don’t let this word “physiology” scare you. The physiology of the body is nothing more than the way your body functions. Or, the way your body behaves. Out of the 60,000 to 70,000 thoughts, you entertain in a day, the majority of those thoughts are habitual. This also means that the majority of your emotions and actions are habitual. The same thoughts produce the same emotions or chemicals that trigger the same actions or behavior as the day before. The chemical combination of thoughts and emotions are what shapes your personality. Your personality is like a character you are playing. With all due respect, you’re like a really great actor playing a role so well, that you’ve started believing you’re the character you’re playing. You might say to yourself, "I'm not acting! I'm a real person! This is just who I am!" That’s cool. I understand where you’re coming from. But there’s one thing I want to bring to your attention. The word "person" comes from the Latin word "persona;" which literally means "actors mask." You are not a personality. You “have” a personality. Your personality is simply a mask you are wearing. A personality is something you adopt, something you choose; consciously, or unconsciously. You can choose to put on a new personality like you put on a new shirt. There’s nothing wrong with that if the character you’re playing causes you to live the way you truly want to live. 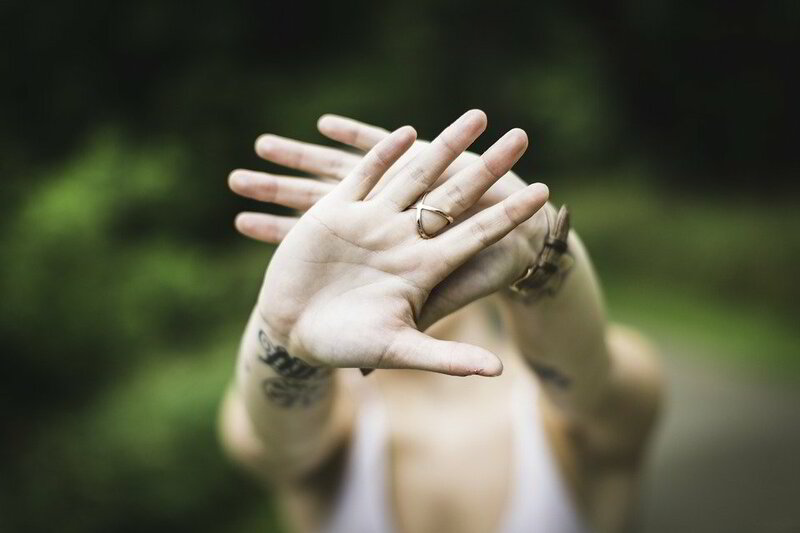 But if you've been playing the role of a poor victim for years, it may be difficult for you to believe that you are capable of being the happy hero. But with practice, it's possible. Get ready to trade in your poor perception of lack and limitation for an empowering perception of prosperous opportunities.  Welcome to natural spirituality for Self Mastery. You are about to be introduced to your Rich Self! The Rich Energy Poor Energy Course is a goldmine for the soul! Are you desperate for change? If you're not, you're probably wasting your time by taking this course. I tend to only work with people who are desperate. When you're desperate, you're willing to do things that you normally wouldn't do. For, change happens when you're willing to do things that you normally wouldn't do. Desperation is an invitation to innovation. Innovation is your ability to think, feel, and act differently than you always have. Out of all the people I've coached throughout the years, only the ones that were desperate for change actually changed. The rest of them complained about their lives but never did anything about it. I think they just liked hearing themselves complain. If I gave you a technique to practice over the weekend; and you told me that you didn't have time to do it; then you're not desperate: and I am not your coach. Learning to use the power of desperation takes awareness, along with mental, emotional, and physical strength. You must learn to use this power, or this power will use you. Instead of doing something that you'll regret one day, (like selling your body, selling drugs, robbing a bank, punching a wall, or punching a person) you can use the energy of desperation to radically change your personal reality for the better. The prisons are filled with individuals that allowed desperation to use them; rather than them using desperation. Rock bottom is what it takes for the average individual to truly change. It doesn’t have to be that way: but it usually is. A diagnosis is given by the doctor before we decide to eat better and exercise. We lose everything we have before we start to improve our spending habits. We are arrested, or nearly kill someone before we decide to stop drinking and driving. We have a nervous breakdown before we decide to find a new job or a better mate. Before rock bottom, a person will complain, blame, and use any medium that takes the responsibility of their life, off of them. We will blame our kids, our parents, our spouse, the government, and even the mortgage on the house; as an excuse as to why we aren’t living the way we want to live. And when all else fails; we invite God and the Devil into the conversation. That may or may not be true: but the question is; do you want that to be true? If so... if you truly believe that something outside of you is holding you where you are right now; why are you complaining? If your kids, your parents, your spouse, the mortgage on your house; God & the Devil, are really the reason you are where you are right now; why not just accept it? The reason why we complain and blame; is because deep down inside, we know that we can change many of our circumstances for the better: however, for some reason, we do nothing about it. Perhaps it is because we are creatures of habit. Habits, (even the bad ones) are familiar. Most people are comfortable with things that feel familiar and uncomfortable with things that feel unfamiliar. When people are familiar with pain, they start to enjoy listening to themselves complain. Complaining means that you believe you are a victim... and victims feel helpless. And a helpless person isn’t expected to do much about the pain in their lives. But the moment a person accepts that they are responsible for their own happiness, and even their misery; they have to admit that they can do something about “many” of the circumstances in their lives that they aren’t satisfied with. That means that when there is no one else to blame, you have to be willing to look in the mirror. Personal transformation is your ability to personally transform. Again, I ask you, are you desperate for change? Often, people will ask me, how can they discover what their purpose is. Humans tend to make things more complicated than they have to be. I think there's a lot of myth around the idea of purpose. I hear a lot of people talk about wanting to find God's purpose for them. I've never felt like God gave me a purpose. Yet, I've always lived my purpose because I've always felt like my purpose was to do whatever I was truly interested in at the moment. I simply do things I love doing. Yes, my title is a spiritual life coach, but trust me, I'm not Mother Teresa. I'm only into spiritual development because I honestly love talking about it. And I love learning becoming the best version of myself; and helping others do the same. I'm not doing this because I think it's my divine mission to change or save the world. If I didn't love this, I'd be doing something else. But since I love it; it’s my current purpose! A Rich Purpose is a purpose you enjoy. A purpose that is not your own feels like an obligation. I resent using the word "should." But your purpose should never feel like an obligation. If you don't enjoy your purpose, perhaps it is because it's not your purpose. For even when your purpose is challenging, you enjoy the challenge, if it is truly your purpose. The more I've said this over the years, the more the joke rings true to me. I believe your purpose is to choose what your purpose is. For when you live without a purpose, you'll often end up allowing other people to establish a purpose for you. When you know what your purpose is, you wake up each day as if you're on a mission. A mind without a purpose is confused. But establishing a purpose will give you a sense of clarity. 	Rich Challenge: Today, I challenge you to discover, or, make up a purpose for yourself. Your purpose doesn't have to be something you agree to do for the rest of your life. Your purpose doesn't have to be a “save the world purpose.” Your purpose could simply be to do what you're interested in at the moment. It's ok to do what you like doing, ya know! Many people speak of having a calling, but a calling is simply the urge to move towards a specific way of life. What specific way of life would you like to move towards? Attraction is the magnetic force that exist between two bodies of mass. The Law of Attraction is the main functions of The Law of Gravity. Gravity is attractive by nature. For humans, the Law of Attraction is a wonderful and powerful law that can yield you anything you want to experience. Many teachings about the law of attraction are often vague, or too abstract. One of the many things I'm good at, is taking complicated information, and making it simple. My intention is to simplify the law of attraction for you in such a way that even a little child would be able to grasp it. First of all, the law of attraction is not something that you turn on and turn off. It's always working. Your job is to simply find a way to harmonize with it. You either use it, or it will use you. Here are a few ideas that can make the law of attraction simple for you. You, and every "thing" around you is made of the same thing. Everything is consciousness; or "energy." Every "thing" is made up of tiny particles of energy. This one energy can manifest itself in to infinite sizes, shapes, and colors by slightly altering it's vibrational frequency. Vibration simply means that something is moving. Hence, it is not still, or solid; even if it looks still or solid. Frequency simply means the "speed" or level of "vibration" something is moving at. The law of attraction simply means that particles of energy that give off a similar vibrational frequency tend to gravitate or "attract" to each other. When clusters of energy gravitate towards each other, they form what we as humans call a "body." Hence, a "manifestation. A manifestation is simply a result, creation, or an experience. You are the creator of your Life experience, because you are Life itself, having an experience. As a human being, you can consciously choose you what you want to experience by learning to consciously guiding your thoughts and emotions. Your thoughts and emotions determines your vibrational frequency. Different frequencies causes you to have a different experience of reality. To change your reality, change your frequency to match that reality you want to experience. For instance: if you want to experience love, practice being more loving. If you want to experience joy, practice being more joyful. Imagine that your body runs off of batteries. Are your batteries fully charged, or are they running low? Its all about energy. Poverty is on a lower vibration than wealth. Sickness is on a lower vibration than health. To Change Your Manifestation, Change Your Vibration! I use 3 simple steps to manifest. The way you think determines that way you feel, and the way you feel determines the way you live. The law of attraction is very simple. It's simply about becoming what you want to attract. Act the way you want to feel. And by feeling that way you want to feel, you will live the way you want to live. This is the law of attraction in a nutshell.